School plays an important role in student’s academic performance and success. They could maintain their educational quality and determine the student’s performance because the success of a school is completely based on the success of students. Even though parents prefer the school showing excellent results and enhancing the skills of students. Today we’ll share the ways to boost student’s academic performance, especially for the schools to ensure how they matter. 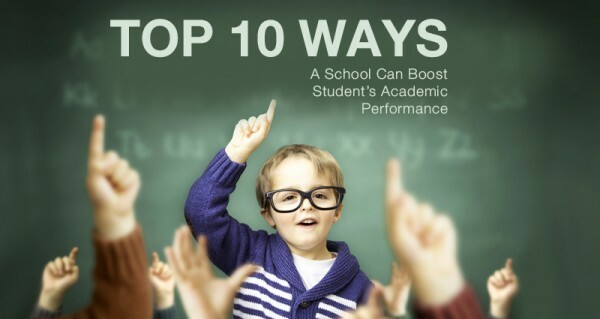 What school can do to Boost Student’s Academic Performance? Teachers are the significant assets for any school, if you’re paying attention to course books and making them highly appreciable but haven’t selected the best teachers to teach, you’re in the loss. Education depends on the teacher’s approach to teach or their effectiveness really matters for the student’s achievements. A good teacher can make the life of a student but at the same time, an inefficient teacher could destroy their life too. Teachers are the big contributors to the improvement in student’s result, understanding even in lifestyle. They’re not a source to read books but a great source to learn a lesson for life, to boost confidence and to develop and attitude to be a successful person in life. Good teachers always pay attention to their student’s academic performance as well as their building attitude and character. A school is accountable to employee skilled, effective, professional teachers having strong knowledge and complete command to their subjects for the improvement in student’s academic performance. Students by themselves are an important contributor to their successful academic performance. They’re full accountable for their performance and success because teachers and parents could help them in the achievement of their goals or assist them by setting the directions. But they have to think actually what they want to study, how to set the future goals. Students are fully responsible for clearing their understandings, prepare their own notes, set preferable time and place to study and self-testing. They’re accountable to improve their academic performance with positive attitude. It is the responsibility of a school to develop a sense as well as confidence in their students to take decisions related to their future and manage their path under the supervision of their teachers as well as parents. These small things could change the complete learning environment and improve student’s academic performance. Things will be more transparent between teachers, parents, and students. Analyze student’s as well as teacher’s performance. These are the few features of TotalSchool for the improvement of student’s academic performance and be smarter than harder.